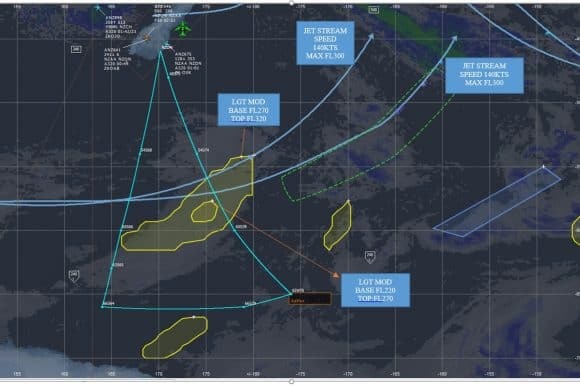 Dubbed as ‘flight to the lights,’ the Boeing 767 took off from the Dunedin Airport in southern New Zealand at 9 pm on 23rd March and circled around for eight hours, returning the next morning. It flew around, zigzagging the international dateline four times. It took advantage of the Equinox aurora period that made the viewing even easier. So how does this work exactly? Aurora Australis is formed due to the motion of atomic particles that are accelerated by the solar wind. These particles interact with the solar winds over the earth’s magnetic field. 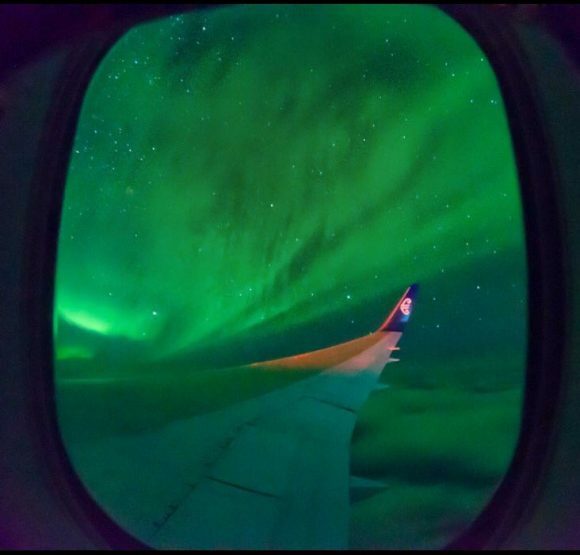 The Southern Lights are formed when these energised electrons ‘touch base’ at where the lines of the Earth’s magnetic field become vertical. They form various shapes based on the movement, such as sheets, a curtain of light or simply a diffused light glow. This trip was strategically planned and organised by Ian Griffin of the Otago museum, who took advantage of the equinox. Equinox is when the day is divided in a way where there are 12 hours of sunlight and 12 hours of darkness. The darkness enabled a spectacular view for everyone aboard. Southern lights are formed sometimes as high as 500km above the earth’s surface. 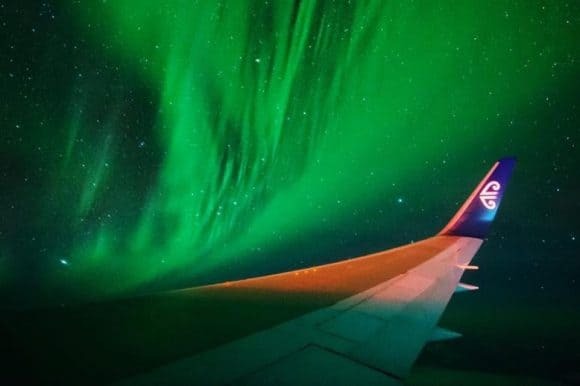 This flight guaranteed an awe-inspiring view from up there as even the weaker auroras became visible from such an altitude. And boy was the view amazing! 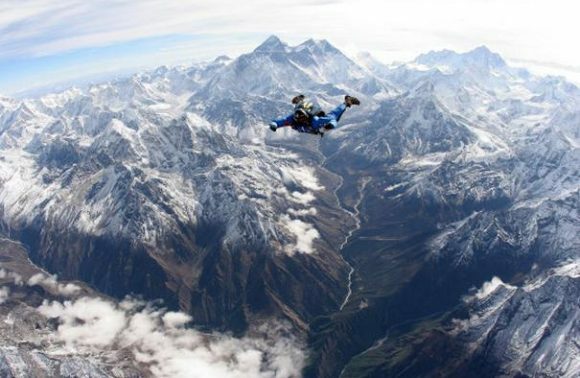 This epic experience was captured by multiple passengers in the form of breath-taking pictures and videos. Even the pilot didn’t hold back, shooting the entire experience from the cockpit. Though, this experience didn’t come as cheap, with economy seats being priced at approximately $2800 and business class seats at approximately $4000. The seats were sold out within five days back in September, with passengers coming from as far as South Africa. The hashtag ‘#flighttothelights’ began trending on social media. 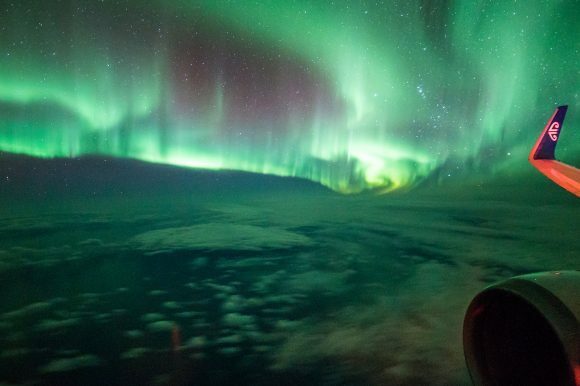 Frith Walker, one of the few lucky ones aboard the flight gave us birthday goals as she celebrated her 60th birthday twice, high up in the sky, spiralling amid the Southern lights. If you feel that you missed out on something, worry not as the organisers are planning another one next year. 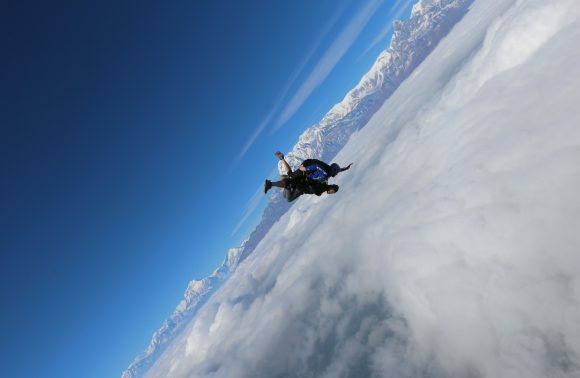 Now here’s another item to add to that bucket list of yours. 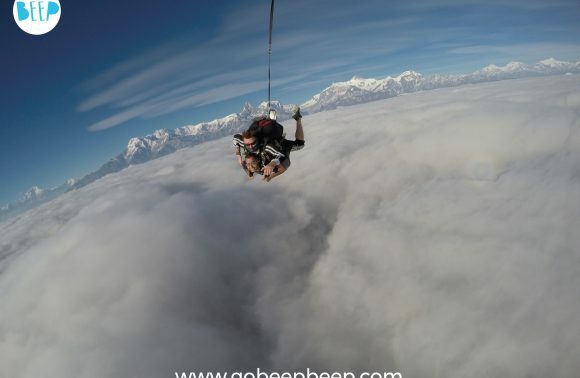 This is one time when flying around in circles would be worth every penny with Instagram-worthy pictures as an added bonus!